“Is that nepotism? Absolutely,” he continued. “Is that also a beautiful thing? Absolutely. Family business is a beautiful thing. Eric extended his praise for nepotism to the White House, commending the influential role his sister, Ivanka, plays in his father’s administration. “I think the beautiful thing about family is you play on a little bit of a different dynamic,” he said, “and once in a while you can pull them aside and say: ‘No disrespect but you might want to think about this or maybe you crossed the line here.’"
Many legal experts, however, disagree with Eric’s assessment. Federal anti-nepotism statutes state that public officials may not appoint relatives to the agencies in which they serve. Experts say Mr Trump crossed that line in creating government roles for Ivanka, and her husband, Jared Kushner. “When the closest advisers, both institutional (in the case of son-in-law Jared Kushner) and informal (in the case of his three children), are dominated by family members, the decision-making process will not only be influenced by private family interests but also tend to ignore legal procedures,” Georgia State Politics professor Henry Carey wrote in The Conversation. So far, the Mr Trump has avoided legal trouble because of a court decision that exempts the President from anti-nepotism laws. “You know, if we didn’t do a good job, if we weren’t competent, believe me, we wouldn’t be in this spot,” he said. 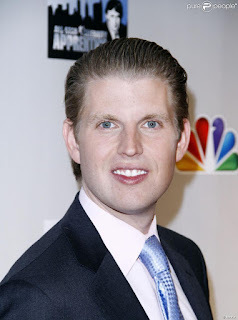 Court documents show Eric and his siblings were allowed to invest alongside their father early on, in the Trump International Hotel Las Vegas, and the Trump International Hotel Washington D.C. Eric began working for his father’s company shortly after graduating college, and remains an executive vice president there today. Robert Jones, a nepotism expert at Missouri State University, told Forbes it is common for children of wealthy families to underestimate the benefits their upbringing gives them.